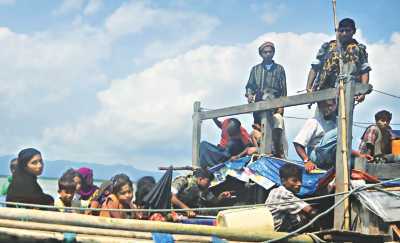 GOB: Dipu Moni: “Bangladesh not bound”, UN worried about Myanmar’s future. 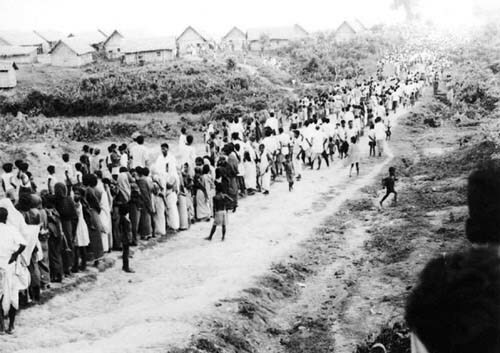 HISTORY: 1971 birth of Bangladesh: ~10 million refugees pushed into India, setting off humanitarian crisis. Bangladeshis have always been part of global migration and refugee debate. For 41 years, our people have gone everywhere, by any means necessary, legally and illegally. We have settled all over the world, through every category of migration available to humanity. But now that desperate refugees are fleeing ethnic violence in Myanmar/Burma, our government says to them, STAY OUT. Ohe “71 er chetona” tomra kothae? Ghumiyecho? Naki Shaheed Minar e fool’er mala dite byasto? Does the past have no link to present? And what about our justified outrage at Indian BSF shooting of Bangladeshis at the India-Bangladesh border. “Pakhi’r moto marche.” If we have the right to enter India as economic refugees, why don’t the Burmese have that same right? 2012: Out in the sea for the last few days, these panic-stricken people had very little food and water with them and were intensely unwilling to go back. 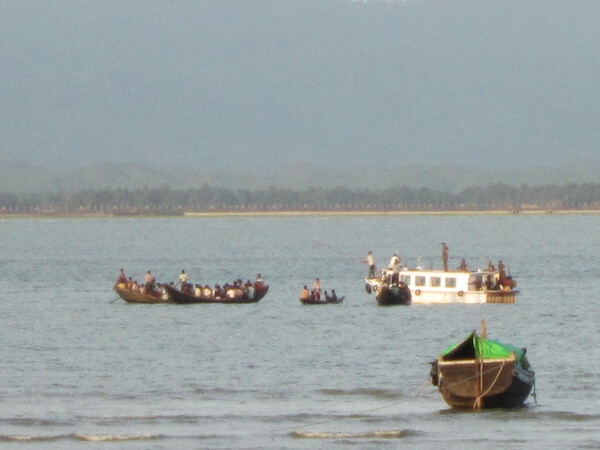 Members of Border Guard Bangladesh (BGB) intercepted three engine boats carrying at least 182 Myanmar nationals in the Naf River, about one kilometre from the BGB Shah Pori Dwip observatory post in Teknaf, around 7:30am and sent them back, said Maj Shafiqur Rahman, second-in-command of 42 battalion. Most of the intruders were women and children, he added. Around 1:30pm, BGB men and coast guards chased away four more engine boats as they tried to intrude into Bangladesh crossing the Naf. Two of the boats carrying around 90 people were pushed back from near Shah Pori Island border. Mohammad Yusuf, 27, said miscreants had attacked their locality in Akiyab city Sunday afternoon and opened fire at the residents. He and his grandfather fled the house and got on a boat. They had been in the sea for the last two days with the hope that they would find shelter in Bangladesh. Ailing mother Rehana Begum, 21, was so eager to get the BGB permission to stay here that in her approach she was paying no heed to her six-month-old hungry baby, who was crying for milk. Approached, she burst into tears and said miscreants had burnt down their houses and been trying to kill them. She was desperate to stay away from the violence and avoid barbaric death. Rashida Begum, 40, and Syeda Khatun, 42, of Jaliapara of Akiyab were found shocked and crying. They said Muslims were being tortured in their localities and they definitely did not want to go back then. Around 3:30pm the Myanmar nationals were escorted out of the Bangladesh territory. But the air became heavy with their screaming for shelter and protection. Misleading piece! That’s all I can say for free. I’m willing to pay to see you make a fool of yourself. A penny for your elaboration.